I have just enjoyed watching Helen Bond and Joan Taylor presenting the Channel 4 programme ‘Jesus’ Female Disciples: The New Evidence’ (which you can watch on demand if you missed it). Both are widely respected professors in the academic community around New Testament studies, Helen at Edinburgh and Joan at King’s College, London. Joan has most recently come to popular attention because of her book What did Jesus look like? which I reviewed last week. After this, Jesus traveled about from one town and village to another, proclaiming the good news of the kingdom of God. The Twelve were with him, and also some women who had been cured of evil spirits and diseases: Mary (called Magdalene) from whom seven demons had come out; Joanna the wife of Chuza, the manager of Herod’s household; Susanna; and many others. These women were helping to support them out of their own means. (Luke 8.1–3). Their exploration began by debunking the assimilation of Mary Magdalene with the ‘sinner’ of the preceding episode in chapter 7, who anointed Jesus and wiped his feet with her hair. The identification of the two figures is without any good reason—it is highly unlikely that Luke would have put these two together in some coded way, since he is certainly not trying to protect Mary’s reputation. After all, he says that she was delivered of ‘seven demons’ by Jesus. The first time this identification was made with any authority was by Pope Gregory I (‘the Great’) in 591, when he also assimilated these two figures with Mary of Bethany, the sister of Martha and Lazarus. The problem with this kind of reading was highlighted in the programme by noting (from evidence from burial ossuaries) that around a quarter of women in the region were probably called Mary—something which explains the gospels writers’ habits of identifying each ‘Mary’ by an epithet or mention of their nearest male relation. This observation is behind the title for Mary of ‘apostles to the apostles’, which became popular in the 12th and 13th centuries arising from the observation that she was the one (in the account in John 20) who was both a first witness of the empty tomb and the one who went to tell the apostles. I am not sure whether Joan’s argument here is persuasive in relation to etymology, but it certainly highlights the important of Mary and the other women. Richard Bauckham, in his ground-breaking Jesus and the Eyewitnesses, has a section on the women at the cross and the tomb (pp 48–51), and he highlights the continuity and multiplicity of the women at the two events in Mark’s gospel, which appears only to serve as reassurance that they were indeed plausible eyewitnesses to both events; Mark uses the terminology of ‘seeing’ (thought to be a more reliable ground for testimony in the ancient world than ‘hearing’) seven times, and includes not just the terminology of ‘noticing’ (horao and eidon) but of ‘carefully noting’ (theoreo) (Second Edition, p 522). Joan and Helen went on to explore the significance of Mary, Joanna and Susanna ‘and many others’ (Luke 8.3) been the ones who bankrolled Jesus and the disciples, and who were therefore essential to the early ministry of Jesus in Galilee. 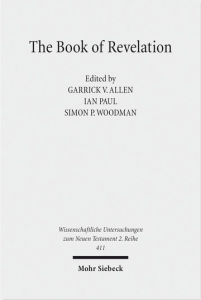 The programme narrator announced dramatically ‘their theories could overturn centuries of scholarship’—an odd claim to anyone who has looked at these texts at all carefully, since the importance of women in the ministry of Jesus, especially in Luke’s gospel, is a commonplace of scholarship. What I think it might ‘overturn’ is widespread popular views; I suspect many ‘ordinary’ readers of Luke’s gospel have passed over these verses without really realising their significance. Lynn Cohick explores this group in her Women in the World of the Earliest Christians (pp 309–320) where she makes some interesting observations. The first is the use of the term diakoneo to describe the nature of the support given by the three women, linking it to the important ministry term diakonos elsewhere in the NT. The second is to note that mixed male-female groups were not uncommon in first-century Judaism, thus contradicting another popular argument that Jesus was a nice egalitarian on the side of women, in contrast to the nasty patriarchal Jewish culture of Jesus’ day—a stereotype in an opposite direction which is equally unhelpful, and which was seriously undermined some years ago by Bernadette Brooten’s study of inscriptional evidence for women as synagogue leaders. Patronage is one thing; authority to teach and lead is another. So the next move for the programme was to look at Mark 6.7 and Jesus’ sending the disciples out ‘two by two’ to preach the kingdom and proclaim its reality by healing and deliverance. Joan claimed that the unusual phrase used here duo duo was an allusion to the account of the animals entering the ark ‘two by two’ in Gen 6.19 (repeated in Gen 7.2, 7.9, and 7.15). The implication would then be that the disciples were sent out not in pairs themselves, but in pairs with female disciples of Jesus, who shared in the ministry of teaching and healing. Despite the ecstatic claims of the narrator, this does not seem to me to be at all persuasive. The phrase does occur in some manuscripts in the parallel passage at Luke 10.1, but this is most likely as an assimilation to Mark 6.7. The phrase occurs nowhere else in the Greek Old Testament—but it does come in Sirach 33.15 (must closer in time to the gospels) where it refers to the dualities of the world made by God, which are in opposition to one another. The importance in Mark 6.7 is much more likely to be related to the need for two witnesses to agree for their testimony to be accepted (in line with Deut 17.6), and the fact that there are two (or perhaps three) pairs of brothers amongst the Twelve. 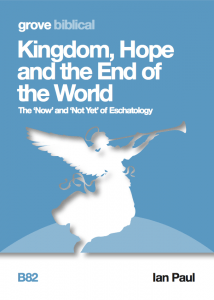 If there is an allusion to Noah’s ark, it is only in the sense of a new era beginning with the coming of the kingdom. The image of Cerula is significant for several reasons—the Chi-Ro symbol above her head, the open gospels with flames, and the oranspose in which she is ‘lifting holy hands in prayer’. We find similar things from the third-century Catacombs of Priscilla in Rome—but there the female figure is also wearing a stole, the garb of priestly office. Cerula does not have this, so though clearly a person of influence, it seems to me unlikely that she is a priest or bishop, and we have no written evidence of women having such an office at this time. For Roman Catholics, patristic practice will be important since the tradition is seen as authoritative for the contemporary church. For myself as a Protestant (and former Roman Catholic), what is more important is what the New Testament says, since that shapes what is means to be an ‘apostolic’ church. In Romans 16.7, St Paul mentions a couple Andronicus and Julia, who are ‘outstanding amongst the apostles’, so Paul appears to have no problem with women exercising church-planting, teaching apostolic ministry. But we see with this text the same tension between early practice and later tradition. As recently as 1927, the female name Junia was changed to the male ‘Junias,’ to hide the possibility of women as apostles—despite the complete lack of textual evidence, or the existence of the male name Junias in any other context. Elsewhere in Paul’s writings, he appears to treat women and men equally as proclaimers of the apostolic gospel—just as Mary was the first announce the resurrection of Jesus to the Twelve on Easter morning—something that supports the idea of women exercising ministerial authority in the church today. The programme ended where it had begun, in St Peter’s Square in Rome, wondering why the statues of the saints atop the basilica included no women—and visually recreating it with the women added back in. But for the Roman Catholic Church, what the New Testament texts actually say is only one part of the story; tradition, in the sense of both the teaching authority of the Church, and the power of habits and history, also play an important part in the Church’s attitude to women, so the statues are not going to be moved any time soon. I am aware of the need of producers of the programme to ‘spice it up’ with claims that scholarly insights are ‘new’ when they have been around for some time—but some of the things here will be new to many of the programme’s viewers. There is also no need to argue that women were ‘equally’ important numerically; you don’t have to suppose that women led in equal numbers to believe that women can lead equally. But it was great to see Joan and Helen bringing serious scholarship to bear in a popular programme on a Sunday evening—and we could do with more of this. The synagogue, discovered in 2009, was the first synagogue within Galilee from before 70 CE to be discovered (two more have been identified since). It has received lots of publicity, along with the extraordinary engraved stone “table” found in it, about which I have written. Josephus refers to Magdala by its Greek name Taricheae, which was actually his HQ in Galilee. Should women and men be paid equally? How effective is your preaching rhetoric? Now I wonder if anyone would broadcast a programme with serious scholarship that didn’t confirm the values of the age? I suspect not. What do you make of the fact that female leadership was one of the points of contention with the Montanist ‘New Prophecy’ in the 2nd century? Andrew, there is nothing wrong with that…but I think there were points in the programme where that agenda skewed something that could have been more interesting. I don’t think Joan and Helen (who are serious scholars) were presented in a the same way as comparable male scholars, and I think that is a shame. There was plenty of other interesting stuff that could have been added in—and would have appealed to a popular audience just as much. Will, from what little I know, I think Montanism was a very interesting phenomenon. There might have been some odd ideas in there (like identifying the actual mountain on which the New Jerusalem would descend!) but I think in marginalising the New Prophecy, the Church missed out not only on the ministry of women but on a fuller engagement with the work and gifts of the Spirit. 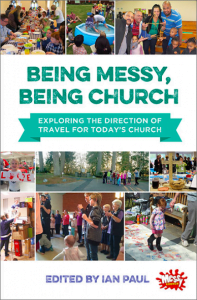 Thanks, I agree – a very interesting mix of barmy ideas and vital pentecostal spirituality. Since it originated in the mid 2nd century and one of the criticisms of it from the wider church was its inclusion of female leaders what does this suggest about the trajectory of female leadership in the early church? By what time do you think female leadership had died out/was suppressed? Do any early writers mention it? Ian, the textual argument that “Magdala” is just as much a character epithet (tower) as a home town was also based on the use of the definite pronoun (? as in Mark 15.27 Maria he Magdalene). So that, as we have Simon the rock, and Thomas the twin, we have Mary the tower. My Greek is rubbish. Is the use of the definite article significant in her name? Colin, thanks for the comment (I’ve corrected your reference to Mark from Matthew, and transliterated the Greek—working on having that show properly). Good question: but the difference is that in the other two cases we have a noun juxtaposed in apposition. We don’t with Mary have ‘Mary the Tower’ but ‘Mary the Magdalene’, in parallel to the way we have ‘Jesus the Nazarene’, using an adjective descriptor derived from the place name. That alone raises a grammatical question against Joan’s argument here. Thanks, yes, I copied and pasted the greek across, but the system didn’t seem to like it. Thanks for fixing that. Whilst I think the concept of “Mary the Tower” is not the primary referent, I wonder if there are (deliberate?) echoes of it in the language. Jesus liked a good play on words. Just seen the comment on Larry Hurtado’s blog. He and I appeared to have said almost the same thing…phew! 🙂 Yep. I figured its worth getting a variety of views. Boringly the same. Surely we should always look to the Biblical texts first as our primary source for deriving a picture of early(the earliest and first) church practice. This has been done concisely in Ian’s article here and shows women as being integral and ‘equal’ to men in leading, teaching and planting churches. My understanding of Montanism was that it was an ecstatic almost cultic movement and although they recognised women as bishops and presbyters, were also labelled heretical for their ‘otherworldly’ prophetic claims. It is the latter point which seems to be the basis for contention between them and the Orthodox Church at the time. I would agree. See my reply to Will above. In as far as I can understand your point it seems to be a “plain sense” type of argument. Assuming that the programme’s interpretation was correct, though, how would that be any less the plain sense than “a code” being decoded? Language itself is a code. It is manipulating this code that we call language use. Now of course there is a difference between exploiting linguistic lacunae and demonstrating meaning but its not, I think, because one is “actual” and the other is “decoded”. That said, I’m not particularly convinced of the programme’s views on this either, at least as a specific intention to send out gendered pairs. It is an intriguing suggestion though and perhaps one Mark has alluded to rather than made explicit. Re Gendered pairs. I’m not convinced that the “two by two” highlights that there were gendered pairs, but I find the idea intriguing. I thought the arguments that women would be able to engage with women in priviate feminine space and that it would be a positive to have women invovled in healing (and touching) women to be important. I worked in South Asia where private space is feminine and for those women to encounter the kingdom we need women who can enter those spaces. Interserve is one example of a mission agency that started for just those reasons. It makes sense that the Jesus community would do the same in similar circumstances. The “two by two” language adds a bit of weight to this. Hello Colin. Yes, I agree with all of that. My argument with the programme, as I think Ian’s was on this point, was with giving the specific phrase such a specific meaning. Its a semantic point. For all the social reasons you list, I totally agree that women’s involvement in the Jesus movement would have not only been important but beneficial. 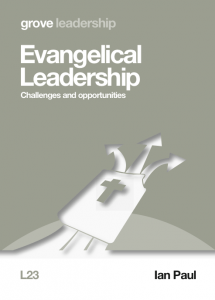 However, it may also be the case that those who write about Jesus, such as Mark, are writing in the context of different social conditions and leadership situations. This is why I suggested Mark may only have alluded to something he could have expressed more explicitly. ‘Language itself is a code.’. Well, yes and no. It is an open code, which the author must assume the intended readers can de-code, else communication cannot take place. The question is whether there is any evidence that the writer intended the parallel to be noticed, and whether any of the first readers would have noticed the parallel. If that is not one’s argument, then you are treating the text like The Bible Code or a kabbalistic text. I certainly don’t think any parallel would bear the weight of arguing that there are 12 ‘secret’ female disciples who accompanied the 12 non-secret male disciples—which is what was being argued. The aim of the production was clear at the outset and in the conclusion: to confront the teaching of the Roman Catholic church. It was utterly biassed in this though, saying nothing of the high praise the church has of the Virgin Mary and not mentioning that they have always had a wide selection of female saints you can ‘pray to’. On their ‘new’ claim, the link of “duo duo” in Mark 6 to the Flood account was not ‘new’ to me. But I think that, in context, this would be interpreted as the Twelve being involved in Jesus’ act of salvation – a parallel to the ark. To move beyond that and presume that they must be ‘male and female’ seems a step too far when we look at the book of Acts. There, people are appointed to venture out on mission in pairs: Peter and John, Paul and Barnabas then Paul and Silas. Which one was the woman?! 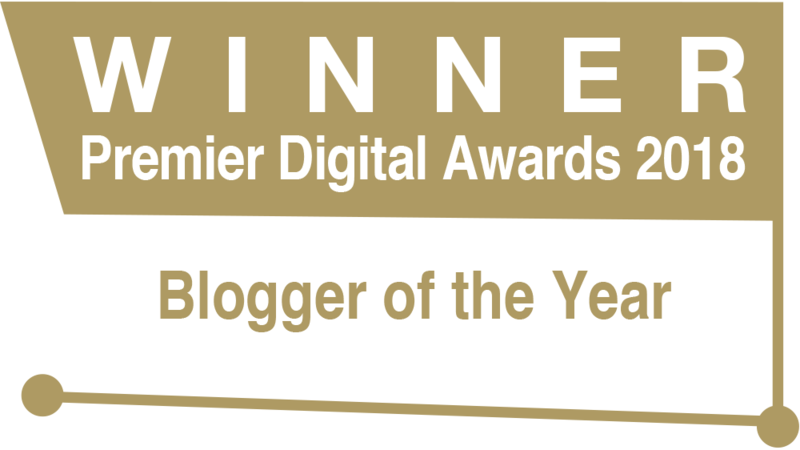 Becky thanks for the link…though the reviews online are not very flattering! Btw your web page link isn’t working. Did you type it correctly? Hi – found it interesting about the way Judaism operated in 1st century – think we often assume like you said that Jesus was first tutor involve women in his ministry-sorry this is it https://inspiredinyork.blog/ – need to update it! That should say first leader! Much better to understand that the Bible was written by lots of different men with lots of different views and thankfully we’ve moved on from backward thinking. What I find perverse is conservative Christians trying to fit what the Bible teaches into their own world view. Far better to cherry-pick the best bits and forget the rest. The Bible sets before us some wonderful truths and also some terrible truths. And on some possible implications of these truths the Bible is silent. People like me are constrained by conscience subject to God’s revelation to believe all these truths (not because we like them, but because God has revealed them) and bow before God’s wisdom in his silence. We don’t ‘try to fit what the Bible teaches into our own world view’. It is the people who ‘cherry-pick the best bits and forget the rest’ who do that. But that’s only because you think that the Bible is “God’s revelation.” Muslims believe the same about their holy book too. 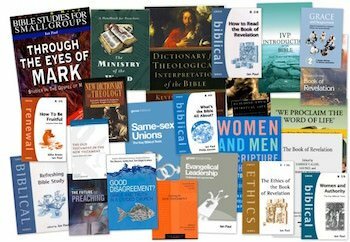 How do you know your book is God’s word? The Bible gives us a God and Christ who are terrible in their holiness, majesty, justice, righteousness, wrath against sinners, and honesty and wonderful in their love, grace, mercy, compassion, pity, forgiveness and salvation. I feel that terror and wrath in my heart and soul and I rejoice in that mercy love and grace of the salvation which God offers freely to all who repent and submit to Christ in his atoning death, bearing that wrath and justice, and life-giving resurrection. In other words the Bible and my experience map onto each other. The Bible tells me that the terror and rejoicing are convictions which God has wrought in me. To the reply, ‘Well, a Muslim would say something similar about the Koran” I respond, ‘I am confident to await the judgment of God at that great Day of Judgment’. Ian, I wonder if you could clear up the ‘Junias’ use. I was told by a Greek scholar that the strict spelling according to the Greek text would be Junias. However, he said that the male spelling of the word would be Junius and the female form Junia. If there is no clear gender from the actual spelling, aren’t we drawing male/female conclusions from the reference that are far more substantial than we really should? I too found the claim of something new and challenging to scholars to be simply shallow TV advertising without any substance. Years ago although writers like Phyllis Trible set the scene for women in Scripture, it changed much more significantly when Elizabeth Schuessler Fiorenza wrote “In memory of her”. Schuessler Fiorenza was the first to do real Biblical study of the NT text to show the role of women even though many of them are not named. That book is 40 years old and so to claim this is new just doesn’t work. If the identity of Mary of Bethany with Mary Magdalene stands up, then there is very good reason to identify the woman anointing Jesus in Luke 7 with this Mary, because John says it was her in John 11:2. Even if Luke 7 describes a different event from the anointing in John 12, it must have been the same woman performing both anointings, because John 11:2 says “[this] was Mary the [one] anointing the Lord…” John 11:2 would hardly have used the definite article ‘THE anointer’ if there were two anointers. So can the identity of Mary of Bethany with Mary Magdalene be made to stand up? I think so, easily, because (a) they never appear together (b) they appear to share a very similar emotional character and (c) the character arc through the gospel story in Luke 7 – Luke 8 – Luke 10 – John 11 – John 12 – the crucifixion and resurrection is consistent, instructive, and inspiring. The Chester Mystery Cycle conflates the two anointings, but this is hardly authoritative. Rather, any comparison of Luke 7 and John 12 shows that these are two separate anointings. Not least is that in Luke 7 the anointer is clearly an outsider in Simon’s household (even if he, er, knew her), while John 12 Mary is in her own household (Martha, as usual, scurrying round serving, v2). Given that the name Mary is so common, uses of the name Mary often carry a disambiguating phrase. Therefore the most natural explanation of John 11:2 is precisely as this: the Mary who did the anointing, i.e. rather than some other Mary. I find it unlikely that the Greek carries the meaning “this is the Mary who was the (only) one who went around anointing Jesus”. The name frequency information we have from ossiaries is very interesting. My recollection of a talk I heard on this a few years back is that the name frequencies differ significantly in the 1st Century between Jews in Palestine and those in Alexandria, and also between 1st and 2nd Palestinian Jews. The names in the Gospels places them firmly in 1st Century Palestine. In addition, if which names are common then does not survive, this leads can lead to confusion in later readers, with the risk of combining separate people. David, I am pretty sure that the name statistics come from the work on onomastics done by Richard Bauckham in ‘Jesus and the Eyewitnesses’. It is a really watertight argument, for the reasons he cites. It is hard enough for us to know name distributions about contemporary culture, so in the first century this match would have been impossible to fake. 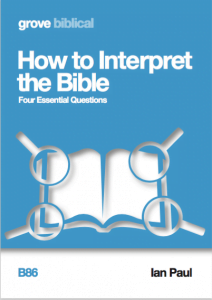 It supports the historicity of the naming overall in the New Testament. Indeed. There are a couple of details from the talk (from a guy from Tyndale House, whose name I regrettably cannot remember) which I cannot find in Bauckham. I think there were statistics which showed that it was the common names which had disambiguators, and not the uncommon names. David, re ‘name frequency’ – three times you name Jews and Israel/Judea as Palestine/Palestinian: ‘1st Century Jews in Palestine’, ‘Palestinian Jews’, ‘1st century Palestinian’. Not until after the brutal suppression of the Bar Kokhba uprising in 135 did the Romans name Israel Palestine (a borrowed name used by the Greeks for the whole of the region from Phoenicia and Egypt), with the intent of obliterating Israel’s memory. To call C1st Jews Palestinians is neither accurate nor helpful. As Ian says, there is much on names in Bauckham’s “Eyewitnesses”, and the relevant chapter is entitled “Palestinian Jewish Names”. So, I feel I am in good company. A bit of digging reveals the name has a long history (predating the Greeks) of referring to that general area (only sometimes up to the border of Egypt), prior to the renaming of the Roman province from Judea to Palestine. I note that Philo and Josephus in the first century used the name to refer to the area. It is difficult to know what name to use otherwise to refer to what in the first century was Judea, Galilee, Samaria, and possibly including parts of Iturea, the Decapolis and southern Phoenicia. Any controversy attaching to ‘Palestinian’ is recent. Thanks David, I appreciate your reply. I certainly would hesitate before saying anything that might question anything from the distinguished Prof Baukham whom I have admired and studied for decades. I don’t wish to seem pedantic, but I do feel this keenly – your suggestion that ‘Any controversy attaching to ‘Palestinian’ is recent’ is simply not true. It is an ancient controversy – an almost 2 millennia old controversy. The Romans renamed Israel Palestine as a conscious attempt to eradicate Israel history/culture/claim to and memory of the Jews in the land. It went hand in hand with the destruction of the Temple and sacrilegious defiling of the Holy site by building a pagan temple on it. The Roman change of Israel’s name was theological, polemical and political. And today, whether wittingly or not, the use of that changed name plays into the same political and polemical spirit which is anti-Israel. Yes, Josephus and Philo refer to Palestine but it is far from clear they were identifying that with Israel and from what Ive seen quoted, it seems that they had the old Phoenician areas of Syria in mind. I think Jesus and his apostles are our primary guides for theology and language. Just a cursory glance of Matthew’s gospel makes things very clear: no-where is the land ever called Palestine – everywhere it is repeatedly called Israel: the angel spoke of the land as Israel (Matt2:20) Matthew spoke of the land as Israel (Matt2:21) Jesus spoke of the land as Israel (Matt8:10) the disciples were sent to the ‘cities of Israel’ (Matt10:23) People worshipped the God of Israel Matt15:31); Jesus is mocked as the king of Israel (Matt27:42). This use of Israel is repeated throughout the other gospels. In Acts we have numerous references on the lips of the apostles to Israel – as people and place and people of the place. Paul refers to himself as an Israelite (Rom11:1). And, on the flip side, never once is Palestine/Palestinian ever used in the NT. They understood themselves as the people of Israel in the land of Israel and God as a the God of Israel – Israel their patriarch and father to their tribes, after whom the land was named. If there is no Biblical basis whatsoever to call Israel Palestine, why do we do it if not for theological or ideological or political convictions that are not drawn from the New Testament. I’m really grateful to you, Ian, for your thoughtful and balanced analysis of the programme. Given the often radical feminist agenda of Channel Four, it didn’t surprise me that they tended to exaggerate the newness of the thesis put forward here, even though what the academics were proposing really didn’t sound that radical to me at all! I’m particularly grateful to yours and Richard Bauckham’s insights into the sending out of the disciples (duo, duo); I would have initially gone along with their arguments on this matter, as on the surface they sound convincing, but your corrective was really helpful. 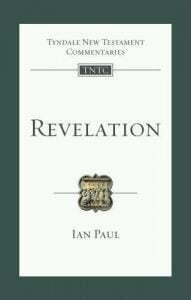 Ps Have already obtained a copy of your commentary on Revelation and am enjoying reading it. That’s great. Glad you are enjoying the commentary; any feedback welcome…! Just watching the TV programme that I recorded, but sadly very disappointed, especially as they are academics. They jump from having a vague theory into trying to claim it’s a proven truth. Even with Mary Magdalene, they decide she comes from a poor fishing village and thus isn’t as wealthy as someone like Joanna, and they continue with this unproven theory as if it is now a fact. Sadly they have failed to prove anything, merely jumping from theory to theory and trying to say it’s a truth. However, I have little doubt that women were Jesus’ disciples, and as for being equal to the male disciples, Jesus actually says of Mary Magdalene: ‘Wherever the gospel is preached, she will be remembered. ‘ Sadly she never was remembered, apart from a fabricated story of her being a prostitute. Either an untruth invented by the Church, or else maybe she didn’t cover her head which gave the ignorant cause to think this of her. Surely Mary is ‘remembered’? She gets quite a lot of preaching airtime in my experience. I hardly like to mention it but isn’t the assertion about ‘head covering’ also a vaguely based assertion? I am a Brit living in Florida and a Methodist. This reminded me of a visit I made to Bath Abbey in 1974 and found that the first two leaders of Bath Abbey (from 675 AD) were Abbesses and wondered how this could have been at that time (according to the Bath Abbey website, it was initially a Convent, and later became a Monastery). Nevertheless I found your blog on the programme most interesting and it re-kindled my interest in women in leadership positions in Christianity; I purchased your booklet “Women and Authority” and also “Women in the World of the Early Christians” by Lynn H Cohick. I have been leading an adult Sunday School Class on Woman and Authority in the Christianity (using your booklet and Lynn Cohick’s book as my main source, together with your referenced material. In the next session will be focusing on relevant texts in Ephesians and 1 Timothy. I thought the whole study would take 2-3 weekly sessions and have had to expand it to 6 weeks. On Sunday afternoon, I was struggling to find passage in the NT on women teaching in the NEB and “Googled” “Women and Teaching in the NT” and was directed to Marg Mowczko’s website in Australia and her paper entitled: “The Chiastic Structure of Ephesians 5:22-23” which I found fascinating, logical with many of her comments similar to those in your booklet. As I prepare for next Sunday (24 June), and should you have time, I would welcome your comments on Marg’s paper and the Chiastic Structural approach. One other point, I was curious with your comment in your second Conclusion (10th line) in “Women and Authority”: “There are no parallels to this kind of commissioning and trustworthy testifying in Jewish literature of the time; in fact, there is strong evidence of the contrary.” when in your Blog you had referenced “Bernadette Brooten’s study of inscriptional evidence for women as synagogue leaders. Perhaps I am missing something and would welcome your comments – I have not yet ready Bernadette Brooten’s book but had assumed from your Blog that she had presented evidence of women synagogue leaders at the time of Jesus and the early Church. It is amazing how the Times article triggered my memory of my first visit to Bath Abbey in 1974 and set me on a fascinating, and enriching journey that I would never have imagined, before reading the Helen Bond/Joan Taylor article in the Times. Finally, Wesley licensed Sarah Crosby, to preach in 1761 – likely influenced by his mother. Sadly after Wesley’s death in 1791, the Methodists leaders discouraged women preachers and at the Methodist Conference (Synod) in 1803 banned women from preaching to mixed (male and female) congregations. Methodist did not ordained/license another women preacher until 1866 in the US (not with full clergy rights) and 1910 in the UK when the ban on women preaching to mixed congregations was lifted. Amongst those women licensed by Wesley there were some wonderful radicals in the UK, including Sarah Crosby, Mary Barrett Taft, Mary Bosanquet Fletcher. Later Catherine Booth (co-founder of the Salvation Army) which embraced women preachers from the outset in 1865 (originally the Christian Revival Society). Reference to Dr. Taylor’s actual scholarly paper wouldn’t seem misplaced?